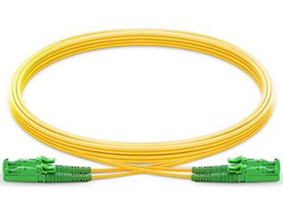 Multi-mode optical fiber is a type of optical fiber that usually implemented for communication over short distances to make networks in buildings or premises. Typical multi-mode links have data rates of 10 Mbit/s to 10 Gbit/s over link lengths of up to 600 meters (2000 feet). Multi-mode fiber has a large core diameter that allows multiple light modes to be propagated and limits the maximum length of a transmission link because of modal dispersion.